The following are the lists, in order of merit of 192 (103+69+20) candidates who have qualified on the basis of the results of the Combined Defence Services Examination (II), 2017 conducted by the Union Public Service Commission in November, 2017 and SSB interviews held by the Services Selection Board of the Ministry of Defence for admission to the 145th Course of Indian Military Academy, Dehradun; Indian Naval Academy, Ezhimala, Kerala and Air Force Academy, Hyderabad (Pre-Flying) Training Course i.e. No. 204 F(P) Course. The Commission had recommended 3701, 2248 and 914 as qualified in the written test for admission to the Indian Military Academy, Indian Naval Academy and Air Force Academy respectively. The number of candidates finally qualified are those after SSB test conducted by Army Head Quarters. 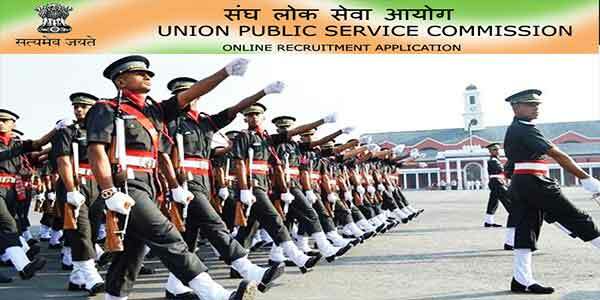 These results will also be available on the UPSC website at http://www.upsc.gov.in. However, marks of the candidates will be available on the website after declaration of final result of Officers’ Training Academy (OTA) for Combined Defence Services Examination (II), 2017.